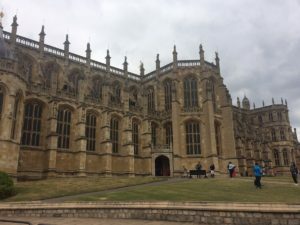 The spotlight is very much on Windsor with not one but two royal weddings taking place in St George’s Chapel, a Gothic masterpiece dating back to 1475. 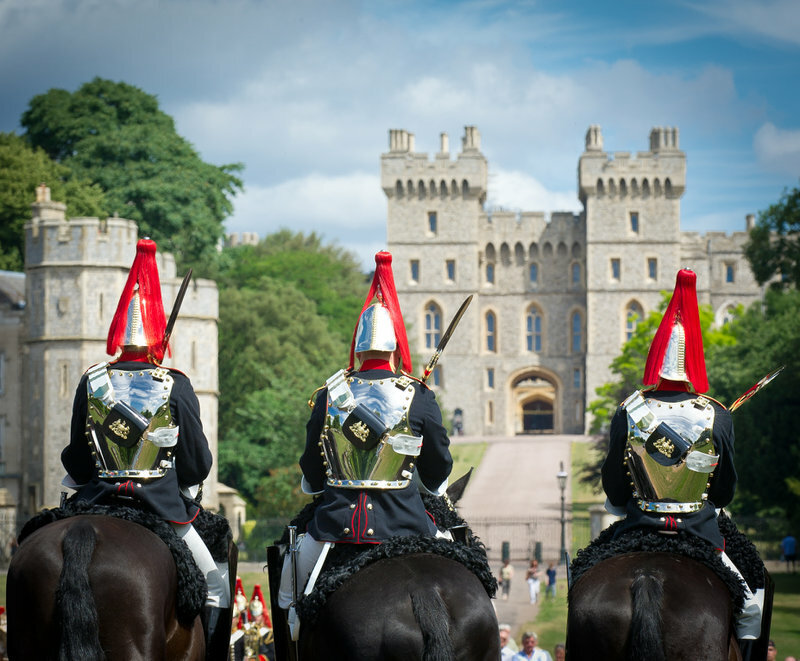 Windsor Castle and St George’s Chapel has seen many royal weddings throughout the ages and Blue Badge Guide Debbie Keenan discusses some interesting facts about the many traditions and facts surrounding royal weddings. 1 The first royal wedding in Windsor Castle was that of King Henry I, grandson to William the Conqueror, who built the castle in 1070. He was the first king to live in the castle and he probably was married in his living quarters as the first chapel was not built until 1240-48 and St George’s until 1485. 2 The first Prince of Wales to be married – these are rare events in English history. Prince Charles is only the sixth to marry whilst Prince of Wales since 1501. The last one was his great great grandfather Edward VII in 1863. The earliest marriage of a Prince of Wales in Windsor was that of Edward of Woodoldstock, Prince of Wales and eldest son of King Edward III (also known as the Black Prince). He married Joan of Kent in Windsor Castle on October 10 1362. 3 The first commoner to marry into the royal family was Elizabeth Woodville, a widow, who married Edward IV in 1461. The marriage was kept secret for five months and only came to light when the Earl of Warwick (the Kingmaker) was organising a foreign match for the king. It was then that Edward had to come clean, much to the fury of many! 4 These days it is normal for brides to be dressed in white but this was not always so. Queen Victoria was responsible for the tradition of marrying in white. She wore white as she wanted to be visible to the large crowds that were going to be out on the streets for her wedding in 1840. 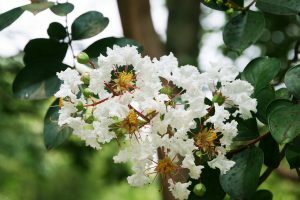 5 Myrtle – a sprig of myrtle was taken from Queen Victoria’s wedding bouquet and planted and this bush has supplied myrtle for every royal bride since then. Myrtle is known as the herb of everlasting love and this is considered to be a lucky charm. Not for all royal brides however! 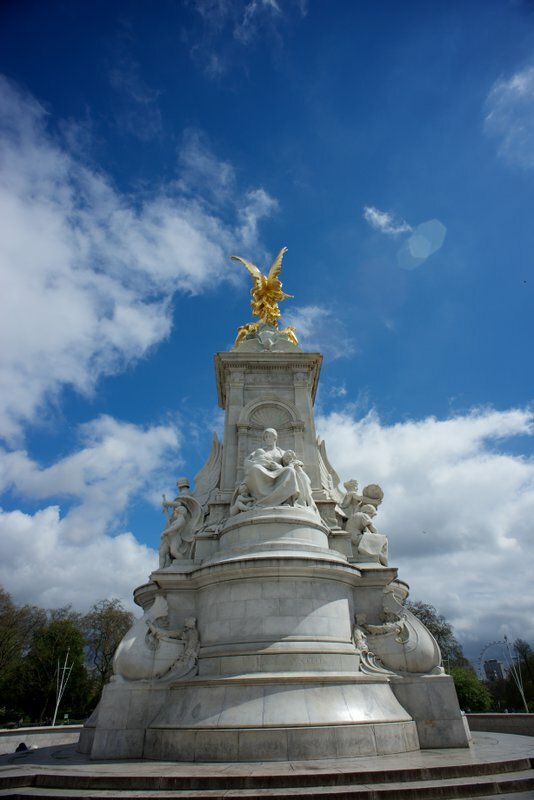 6 Another tradition that Queen Victoria was responsible for was the family gathering on the balcony of Buckingham Palace. This occurred after the wedding of her eldest daughter Princess Victoria in 1858. 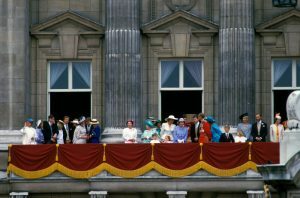 The Queen felt sorry for all the people who would be denied any glimpse of the royal couple so she ordered that the whole family gather on the balcony after the service at the Chapel Royal. The famous kiss came much later – Charles and Diana in 1981. 7 Edward VII holds the record for being the only monarch who was baptized, married and buried in St George’s Chapel. 8 The advent of television – in 1947, the wedding of our present queen was listened on radio by 200m people . 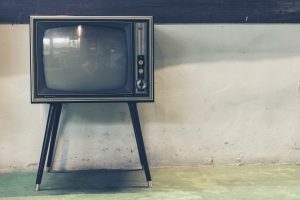 The wedding of her sister, Princess Margaret to Anthony Armstrong-Jones in 1960, was the first royal wedding to be televised and it was watched by 20m people. He was the first commoner to marry into the royal family for four centuries. Compare that to the 750m people who watched Prince Charles marry Diana in 1981 and the 3 billion who watched William marry Kate in 2011. It will be interesting to know how many will watch Harry marry Meghan in May! 9 The oldest surviving wedding dress is that of Princess Charlotte Augusta, the only daughter of George IV who married Prince Leopold in 1816. It was a beautiful gown designed in the ‘Empire’ style and was made from silver tissue with a netted silk underskirt. It cost £10,000 in 1816 but is worth £400,000 at today’s prices. Both the king and his daughter are buried in St George’s Chapel. 10 HM’s wedding dress took 350 women seven weeks to make. It had 10,000 seed pearls plus crystals and sequins. The silk came from Chinese silk-worms and it had a 15’ train. 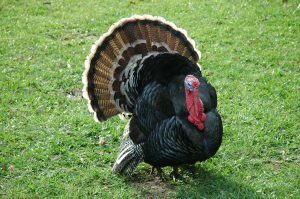 11 The most unusual wedding present for the then Princess Elizabeth was a turkey sent from the USA. It came from a lady who was worried that the Princess was going hungry in post-war Britain during food rationing. To avoid a repeat of unwanted presents, people are invited to send donations to nominated charities. 12 Prince Charles married Camilla Parker-Bowles in April 2005 at the Guildhall in Windsor. Both were divorced with two children each from previous marriages. This just shows how things have changed since 1936 when HM’s uncle Edward VIII, then to become Duke of Windsor, had to give up the throne to marry the divorced American Wallis Simpson. How much simpler has this made life for Meghan, a divorced American, to marry a Prince of the Realm.